If you’ve been following my Twitter feed lately, you would have seen this. 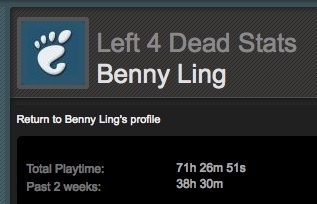 Hit the image up for more detailed L4D stats. A tank set on fire will always die in 30 seconds. Tank on fire speed comparison. In summary: any tank set on fire will die in 30 seconds, and in campaign mode, any tank on fire will be significantly faster than a non-flamed tank, while in versus mode the tank is slower when on fire.